Who thinks about planning a trip to Holland must have heard something (or a lot) about The Keukenhof, for the ones who don’t know The Keukenhof is a flower park in Lisse. Every year The Keukenhof attracts almost one million visitors. There lots of different reasons why people would visit this beautiful park so I will tell you the most common ones. You can take lots and I mean lots of pictures in the Keukenhof. The Keukenhof is the perfect place for starting or experienced photographers. The colour of the flowers really pops off your screen. 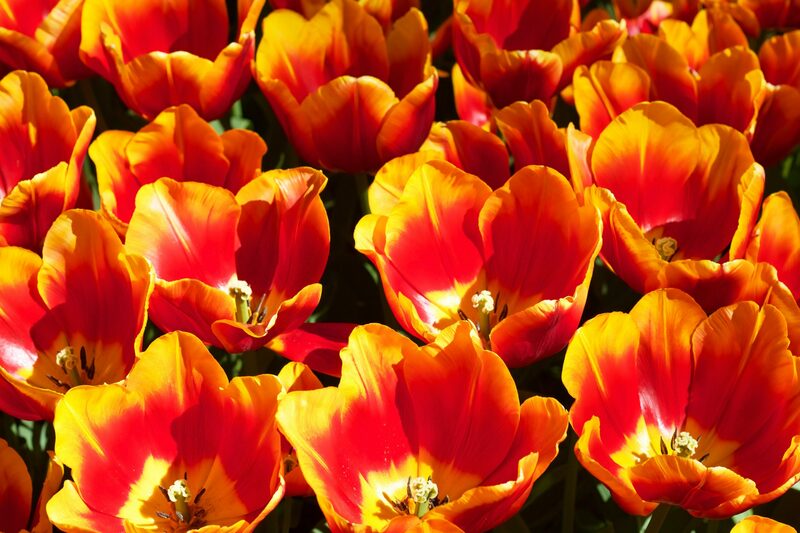 During a visit, you will see different kinds of flowers and most importantly tulips! The Keukenhof is really suitable for macro photography think of all the colours, and forms! If you are newlyweds, you can also choose to take your wedding pictures there. You can take pictures when you’re walking, but don’t forget about the possibility to take pictures from one of the touring boats or rent a bike to get to your favourite spots. If you are unlucky enough to be rained on during your visit to Keukenhof, remember that not all the flowers are outside. Within the gardens, there are five large indoor pavilions and there is a different indoor display in each. Some also contain bulbs but others show off flowers and host flower arranging demonstrations. Each week, there is also a themed exhibit focusing on a particular family of flowers. So if you are that unlucky and visit the Keukenhof during bad weather you don’t have to worry and most importantly your day will not be ruined. The Keukenhof is a famous bucket list point for many people all around the globe. How cool would it be if you have visited this world famous park. The Keukenhof started out as a castle and In 1950 the park opened for the first time. It was immediately a success: 236,000 visitors. In 2018 the 69th edition will take place with the theme Romanticism in Flowers. In the past 68 years, Keukenhof has become a worldwide concept. You might think that bringing kids and toddlers to a garden filled with tulips would be a bad idea, I thought so too but the Keukenhof is really well prepared for young visitors. Other than the park and flowers, there is also a petting zoo with all kind of animals and several playgrounds. Kids will also enjoy seeing a working windmill. To entertain kids while the parents enjoy the flowers, there is also a scavenger hunt which requires kids to use various landmarks in the park to answer questions, solve clues and unscramble a word to win a prize. Keukenhof also offers some special events and a flower parade, the flower parade is always very crowded and some tour operators won’t drive on the day of the parade. Enjoy the bulb growing area’s unique flower parade! Colourful floats covered in bulb flowers such as hyacinths, tulips and daffodils will parade past you. The theme for the 2018 Bloemencorso or flower parade is culture.